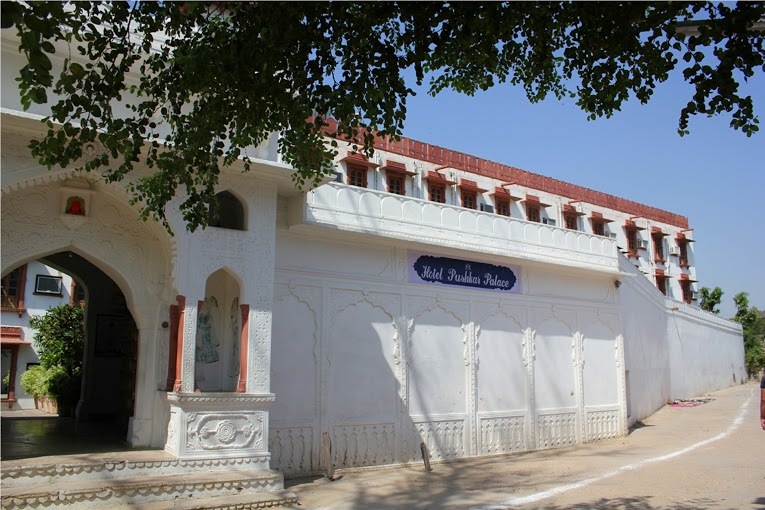 Our favourite place to stay in Pushkar due to its unbeatable location overlooking the lake and ghats. 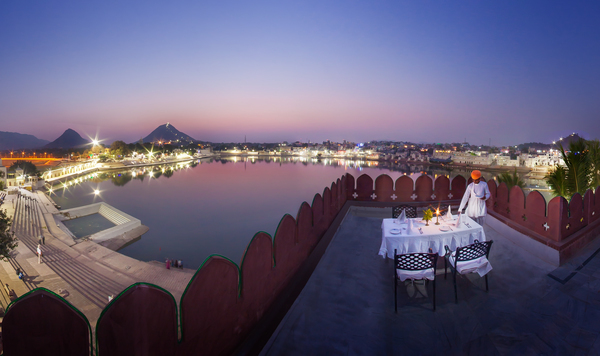 Dramatically perched overlooking the shimmering Pushkar Lake, Hotel Pushkar Palace offers its guests a delightful heritage experience of a royal lifestyle. 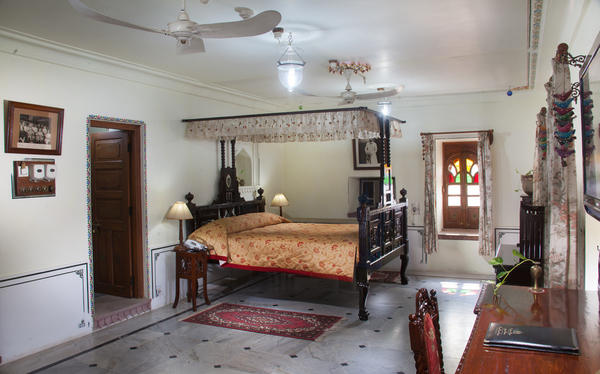 Infact, the property once belonged to the maharaja of Kishangarh. 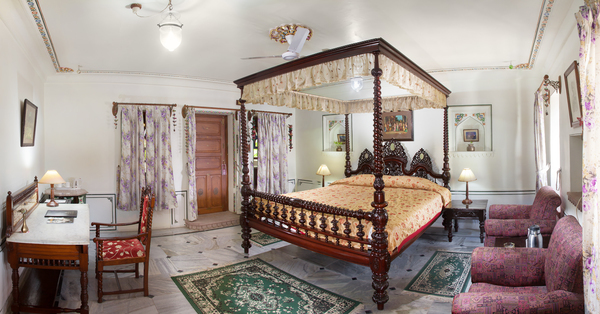 The hotel has well appointed 45 Super Deluxe Rooms and 5 Suites spread over two floors with all modern facilities. Most of the rooms including all suites overlook the lake. 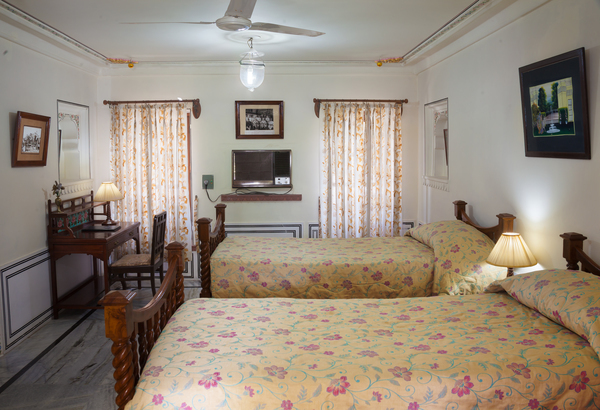 Spacious air conditioned rooms for single, double, triple and family accommodation are available with satellite television, telephone and minibar. Quality mattresses and linen make the stay more comfortable. 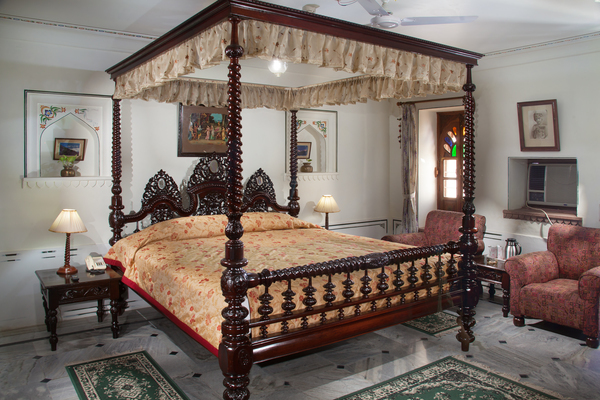 Each room has different period furniture, frescoes, family portraits and decoration of old paintings, which create a great ambiance. 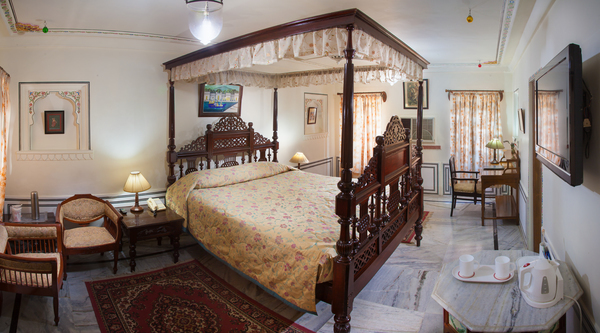 The hotel restaurant serves a selection of Indian, Continental and Chinese cuisines and has an outdoor dining area overlooking the lake. 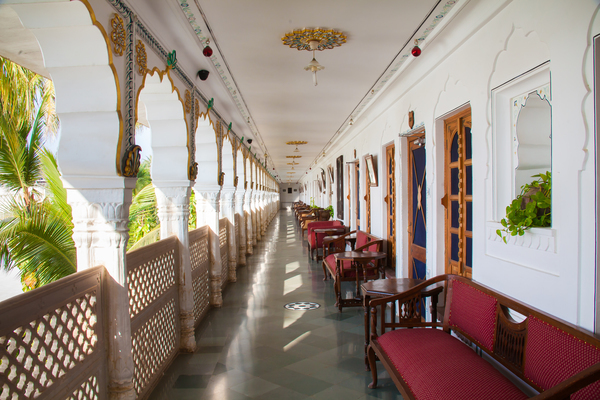 Afternoons at Hotel Pushkar Palace overlooking the eventful lake is a perfect place to unwind, its cushioned alcoves and hued sit outs invite you to stretch out with a book at hand or savor the fresh bakes from “German Bakery” in the Palace premises, and listen to the enchanting sounds of bells and chants from nearby temples and ghats !